The music festival runs from Tuesday 17th March – Sunday 22nd March, and for the third consecutive year, newly re-crowned “Cincinnati Hip Hop Artist of the Year” Buggs tha Rocka will be performing. Having released his new album “Scattered Thoughts of an American Poet” in December 2014 which received widespread international press coverage, he penned a new two album deal in January this year with Talib Kweli’s Javotti Organization as part of a new recording duo “Space Invadaz” which sees Buggs team up with Donte from the group MOOD. 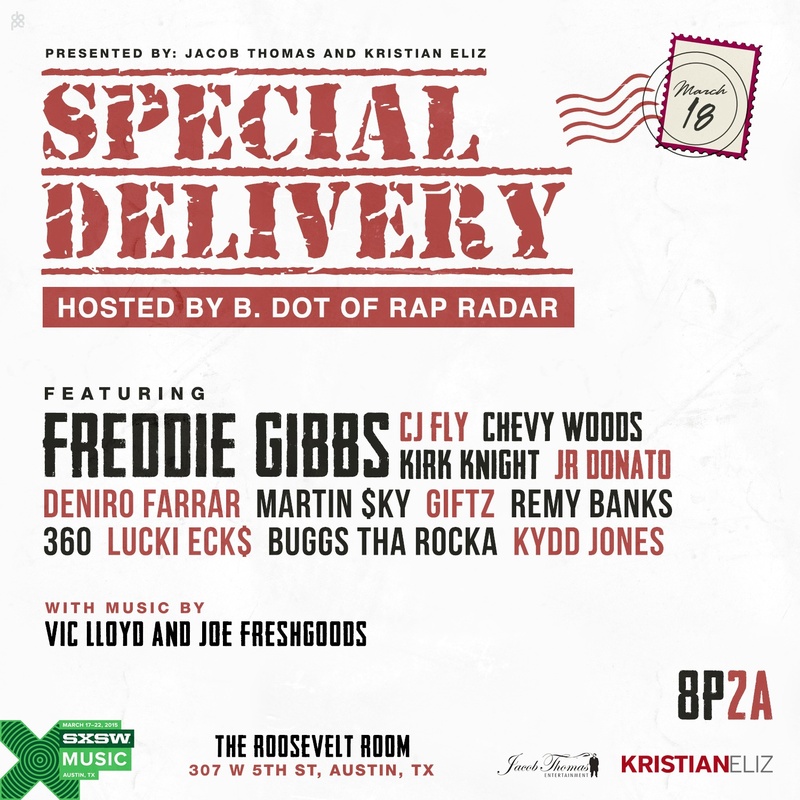 Buggs will be performing at the Special Delivery event on Wednesday 18th March at The Roosevelt Room, 307 W 5th Street Austin, and is scheduled to appear on stage around 8.45pm. The event is headlined by Freddie Gibbs and hosted by B Dot of Rap Radar.